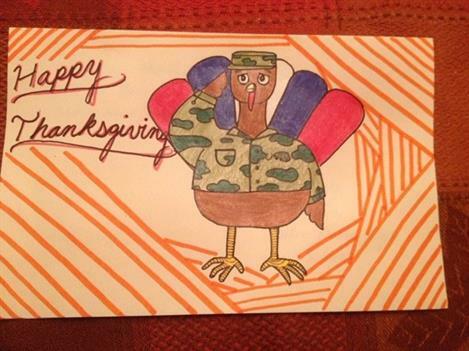 Come join us in making greeting cards to send to wounded and sick troops and their caregivers at Landstuhl AFB, wishing them a Happy Thanksgiving and thanking them for their service. We'll be working in the Library on the first floor. Some materials will be provided, but if you can bring some – notecards, envelopes, colored markers, stickers – they would be most welcome. but even if you just show up, you'll be welcome!